There are free books for you to win and the competitions end soon so it's the last few days. Get your entry in ASAP and you could win one of my books. Competition 1. 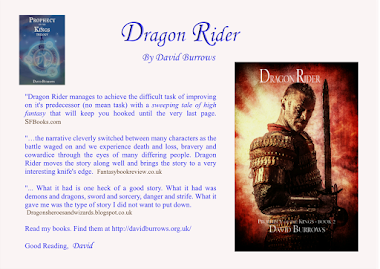 That's on my website http://davidburrows.org.uk/ and all you have to do is like my Facebook page https://www.facebook.com/authordavidburrows and send me an email - the email address is on my website. It's as simple as that. Competition 2 is just as easy. 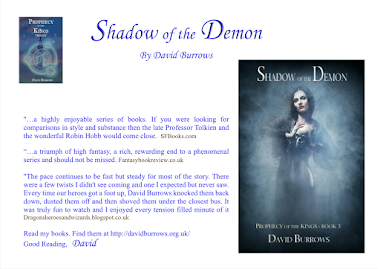 That's on http://www.risingshadow.net/news/218-giveaway-drachar-s-demons-by-david-and-andrew-burrows See the site for competition rules but all you have to do is ask me an interview question such as what motivated me to write. You could even use that example and you might win! It's that easy. That's four books to win so give it a try and you could win in these very easy competitions. 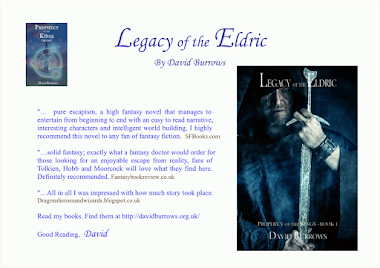 Ideal for fantasy fans! No, it's not quite as drastic as the end of the world! But there are free books for you to win and the competitions end soon so it's the last few days. Get your entry in ASAP and you could win one of my books. There's an article from George R.R. Martin about his book Song of Ice and Fire being eight books rather than seven. There's quite a good book cover with the article. I guess the main character is Jon Snow? A Dance with Shadows is out - is it any good? It's reported to be better than A Feast for Crows. 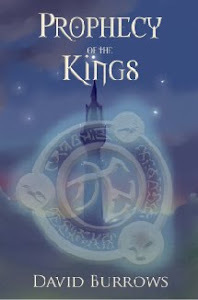 I have just finished reading The Game of Thrones - well book 1 at least. It's a really good tale with really excellent characters. Be warned, it's very long with a lot of politics/court intrigue. It's the first time though that I've seen a TV series or film where the book is so very similar. It's almost word perfect. My preference is the TV series, which I saw first so that may have influenced my decision. I have book 2 which I'm about 1/3rd of the way through. I think I may stick to the TV series for the rest, assuming that I can wait that long. I recommend series one if you haven't seen it already. Great series. Three free books of Drachar's Demons available. All you have to do is a) come up with an interesting interview question or b) create a fantasy character for a side plot I'm writing. It's for fun and very much tongue in cheek so please have a go. There's a sample chapter below this post to give you inspiration. You could suggest a character so I can create a side plot. Sharyl's sister for example. But please say why it would be interesting. Check out rinsingshadow for details of the giveaway and good luck. Wow. I went to get petrol, parked at the garage, filled up and then went in to pay. I spent a while queueing and paying and then went out. To my shock my car started to move towards me. Confused, I peered inside assuming someone was stealing it. It was dark. Spookily there was no one at the wheel. I walked towards and to one side of the car, realising it was picking up speed. There was about ten feet to a metal bollard and a chap standing besides that unaware of an out of control car rushing towards him, for now it had built up speed. Like in a cowboy gunfight I raised the keyfob and unlocked the car, throwing myself bodily at the door and ripping it open. Not a moment too soon I leapt inside and pulled the handbrake full on. What a numpty brain! The hand brake was on, but not fully. I was shocked but relieved. the chap standing by the bollard was staring into space, still blissfully unaware that he had nearly been run down. It was very spooky how the car had started moving just as I came out of the shop. If it had happened while I was in the shop I would have had expensive repairs! It was also bizarre that the forecourt has only a marginal slope. A chap at work suggested that it was the brakes cooling down that caused the time lag. Good explanation What a relief though, not to have crashed whilst not driving. Anyone else done something similar?